to antioxidants and anti-aging compounds. kept them healthier in winter months. Why not make the swap!? See below for more top healthy fruit juice concoctions - utilizing cloudy, organic apple juice and cranberry. Apple Juice, Orange Juice, On Guard ~ Oh My! For this Flavorful health tonic, warm two to three cups cloudy, organic apple juice on the stove top with the juice of one fresh-squeezed orange. Add a few drops of On-Guard essential oil to support healthy immune function. 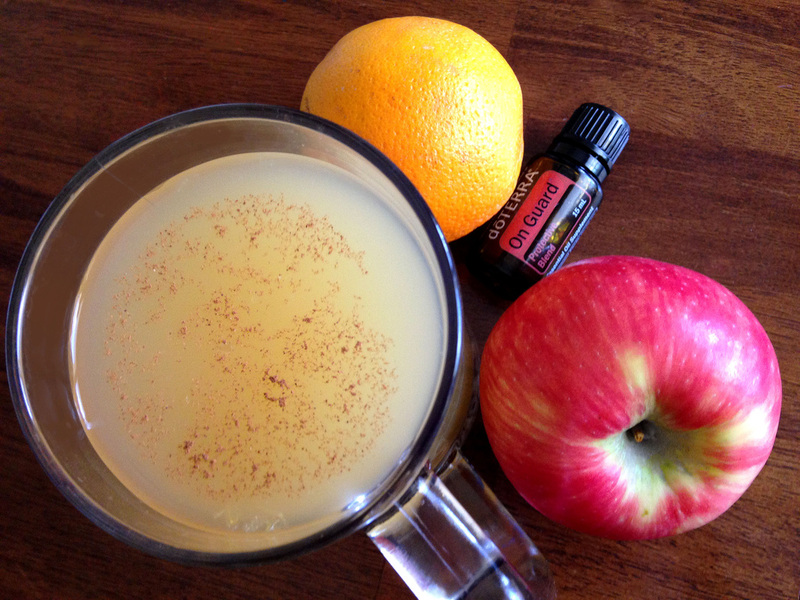 (OnGuard is a blend of Wild Orange, Clove, Cinnamon, Eucalyptus, and Rosemary). Don't heat the concoction too much or you'll kill the effectiveness of the oils. Top with a sprinkle of cinnamon and serve! Mulled Cranberry Cider - aka Hot "Totty"
1/4 tsp of Cayenne pepper. Bring to boil then turn off burner. When cooled a bit but still warm, stir in 1 Tbsp honey and sip. Make and consume as often as needed until pain and/or cold subsides.